The English Series: Year 1 is specifically written for students in Year 1 studying English and following the v8.1 Australian curriculum. The activities in this book revolve around several different text types: dreaming stories, folk tales, procedures, recounts, persuasive texts, information texts and poems. Students will be asked to compare text types, adapt text types to create their own, think about specific language devices used to construct different texts and voice their opinions of texts. 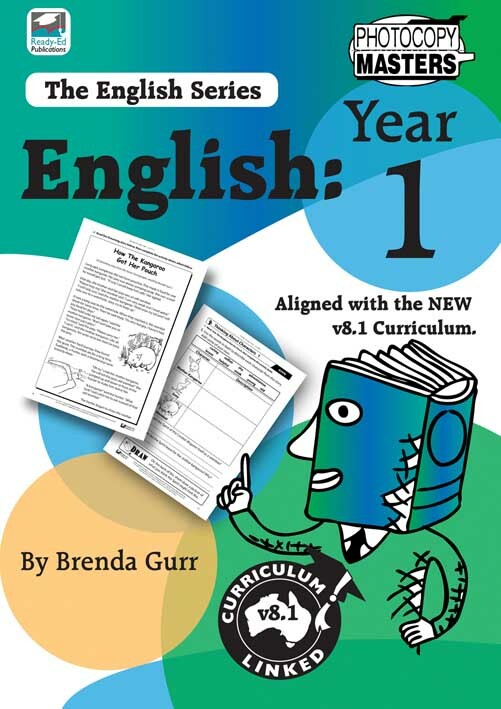 Cleverly illustrated to secure the attention of this age group, The English Series: Year 1 is sure to be a valuable resource for any teacher of Year 1. This book belongs to The English Series which consists of seven books altogether.